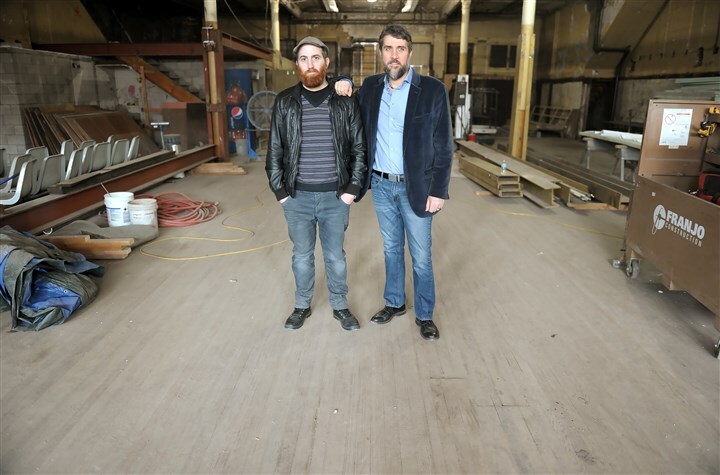 Victor Rodriguez and his brother David stand inside the former Levine Brothers Hardware store in Homestead that they are renovating into a craft brewery and tapas restaurant in Homestead. Danielle Lewis and her fiance, Dion Daye, had already bought computers and toys and were days away from opening their day care center on East Eighth Avenue in Homestead when a fire next door at Harry’s Clothing damaged their building. After the fire on Sept. 10, 2015, it took about eight months to renovate and restore Mr. Daye’s building, which houses Learning and Educational Daycare on one side and a laundromat on the other. Now, the day care serves about 55 children between the ages of 6 weeks and 12 years, Ms. Lewis said. In the wake of two fires in 2015 that destroyed portions of the Homestead business district, some entrepreneurs have repaired the damage and reopened, others have started businesses in buildings unaffected by the fires, and new borough manager Matthew Staniszewski is employing a multipronged approach to encourage business redevelopment and home improvement in the town. Jack’s Market & Coffee Shop, for instance, settled into a building damaged by a Jan. 23, 2015, fire that destroyed four adjacent buildings. Voodoo Brewery of Meadville opened a pub and distribution center at 205 E. Ninth Ave. in the former borough building in early 2015. Photographer Chuck Beard also opened a photo studio called Abandoned Pittsburgh in the same building. Judi Tener’s family operated The Tin Front Cafe at 216 E. Eighth Ave. for 6½ years. Then, she said, some young people came to them and said they would like to operate their own restaurant in that space, and Honest John’s was born, offering French-American cuisine as well as fish tacos and hamburgers. Mrs. Tener moved her store, Annex Cookery, across the street into another building. 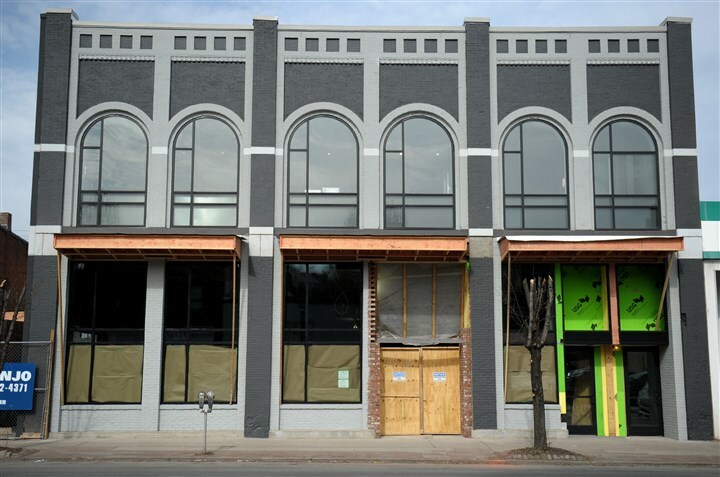 Another storefront on the avenue was renovated into the Dorothy 6 Blast Furnace Cafe, and former Steeler Baron Batch co-founded Studio AM in Homestead as an art gallery and event space. Farther east on East Eighth Avenue, the Rodriguez brothers have a new project, the renovation of the former Levine Brothers Hardware Store into Trios Brewing Co., a combination brewery and pub with a Spanish tapas menu. David Rodriguez opened two breweries in Madrid over the past few years and moved here to start the combination restaurant/brewery. The owner of a bowling alley on the second floor of the former hardware store plans to retire in May, and the Rodriguez brothers intend to keep the bowling alley as part of the brewery, Victor Rodriguez said. The family company, A.M. Rodriguez Associates Inc., earlier built an apartment building with shop space downstairs on four vacant lots in the 100 block of East Eighth Avenue and constructed townhomes along Amity Street facing Homestead’s Frick Park, among other work. The new apartments in the One Homestead development don’t have the low rental rates formerly associated with the area. Victor Rodriguez said a two-bedroom unit in the development rents for about $700 per month and a three-bedroom unit is close to $1,000. Mr. Staniszewski, who became Homestead’s borough manager in September, said millennials are buying homes and starting businesses in Homestead. He said the chemistry of what’s happening in the borough reminds him of what he saw happening in Lawrenceville 10 to 15 years ago. His last job was director of community and economic development for New Castle. He said the borough is looking at ways to enhance public safety, such as installing surveillance cameras to provide the police with extra sets of eyes. The police department is “very proactive,” he said. Homestead still has a number of unused storefronts. Mr. Staniszewski said he is willing to work with anyone interested in buying a home or starting a business in town. He noted that he knows where to steer people interested in the tax breaks that can be had through land banks, and he plans to seek funds to renovate owner-occupied houses and for facade improvement for the business district. In addition, he is talking to Blue Tree Allied Angels, a local investors group, about starting a business incubator on Eighth or Ninth avenues, he said. He also is seeking a $400,000 grant from the Pennsylvania Department of Transportation to connect the Great Allegheny Passage trail along the Mon River to the Homestead business district. In addition to construction of a connecting trail, the project would include a handicapped-designated crosswalk and improved sidewalk ramp, he said. The borough is still seeking rights of way for the project. Other grant money is coming in. The Western Pennsylvania Conservancy and Steel Valley School District will seek public and private funding for a $4.7 million stormwater capture and beautification project for the area around Barrett Elementary School. In late January, school superintendent Ed Wehrer announced that the borough had received a $600,000 grant from the Allegheny County Sanitary Authority to pay for part of the project, which would also include the creation of outdoor garden classrooms. Anne Cloonan, freelance writer: suburbanliving@post-gazette.com. The former Levine Brothers Hardware store in Homestead. Developer Victor Rodriguez and his brother David are renovating the space for a brewery and tapas restaurant.